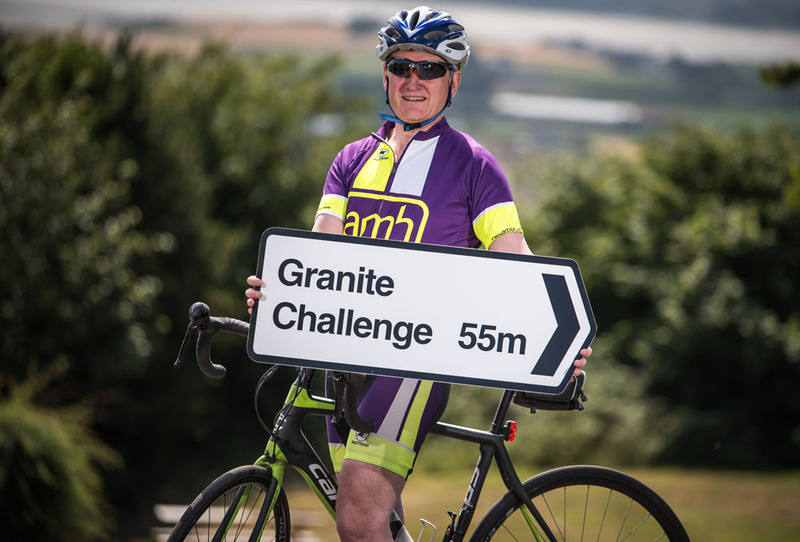 Action Mental Health’s chief executive David Babington gets into gear, preparing to clock up the 55 miles of the 2018 Granite Challenge. Will you follow his lead and sign up? 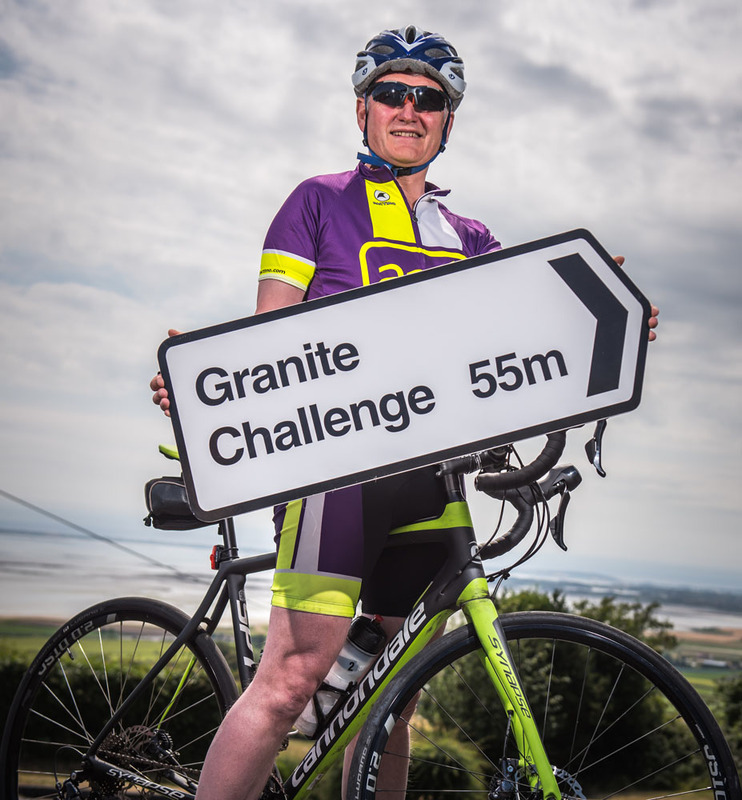 It’s time once again for cyclists across Northern Ireland to consider taking part in the annual Granite Challenge, a 55-mile charity cycle through the beautiful Mourne Mountains, raising funds for Action Mental Health (AMH). This year, the charity’s Chief Executive David Babington is leading by example and is once again donning the AMH kit and appealing for everyone to join him on Sunday, October 7. Spaces are limited so book your place now by clicking here. As a local charity, Action Mental Health relies on the support of the local community to help provide their vital services. This year, all funds raised at the Granite Challenge will be used to support the AMH Men’s Shed in Downpatrick, a social hub and support network which caters for men over 50. The Men’s Shed provides a relaxed and friendly environment where men can build new friendships while sharing skills and learning new ones. Most importantly, the Shed offers members a really positive way to look after their mental health. AMH have three Men’s Sheds across Northern Ireland, in Antrim, Downpatrick and Fermanagh. The Sheds bring together men to work on practical activities of their choice, at their own pace, while having a laugh and a cup of tea. Activities include horticulture, joinery, photography, arts and crafts, IT and cooking – every Men’s Shed is led by the needs and skills of its ‘shedders’. The picturesque Granite Challenge route wheels out from AMH New Horizons, in the cathedral town of Downpatrick, before snaking its way through Tyrella and Dundrum. The route then follows coastal roads through Newcastle, towards Annalong at the foot of the Mournes. The riders then commence their ascent through the Mournes past Silent Valley, climbing to Spelga Dam. From there, it’s downhill toward home, through the pretty village of Bryansford, then Maghera and Clough and finally back to Downpatrick. The event takes place just ahead of World Mental Health Day when Action Mental Health will host a variety of events across its services to mark the annual day when mental health issues come into sharp focus across the globe. Back for its seventh year, Mr Babington has participated in every race since its inception. Cycling, like any exercise, promotes mental well-being and when running took its toll on his knees, he turned to cycling. “I realised I would have to try something different so I opted for cycling and I enjoyed it so much I’ve been hooked ever since,” David explained. David soon found himself among a devoted group of cycling friends. Together, they cycle regularly, not only to keep fit but also to enjoy the benefits to their mental health and well-being that exercise and being out in nature is proven to provide. “Physical activity plays a huge role in keeping our minds healthy as well as our bodies. With as many as one in five people in Northern Ireland experiencing mental ill-health at some stage of their life, it’s important to remember that simple things such as cycling to work or walking the dog can really help to reduce stress and clear the mind. “As World Mental Health Day approaches we couldn’t think of a more fitting tribute than hosting a large scale sporting event that unites the community in a show of support for those impacted by mental illness whilst also offering participants the chance to raise vital funds to support our work. Food and refreshments are provided on the day. Early Bird entrance fees start at just £20 which includes a tea stop at Spelga where delicious homemade tray bakes and sweet treats will be provided. You can also book your space or find out more by calling us on 028 9182 8494.